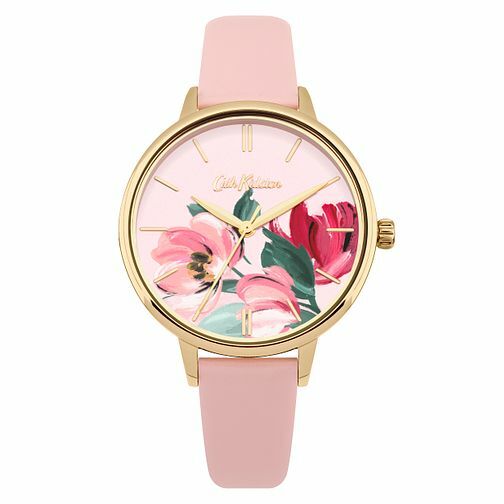 Fabulous and floral, this captivating Cath Kidston watch features a perfectly painted flowery dial atop a chic white backdrop. Gold tone indices match the three hands and gold tone case. Crafted from alloy, this timepiece is completed with a pretty pink leather strap, featuring a co-ordinating gold tone buckle. This watch is water resistant up to 30 metres.